Shortly after Google announced their new unified chat service called Hangouts, users discovered a handful of Easter Eggs embedded deep within. Actually, they aren’t deep at all and can be accessed with a simple command in a chat box on either Google+ or through the Chrome app (no mobile version support here). 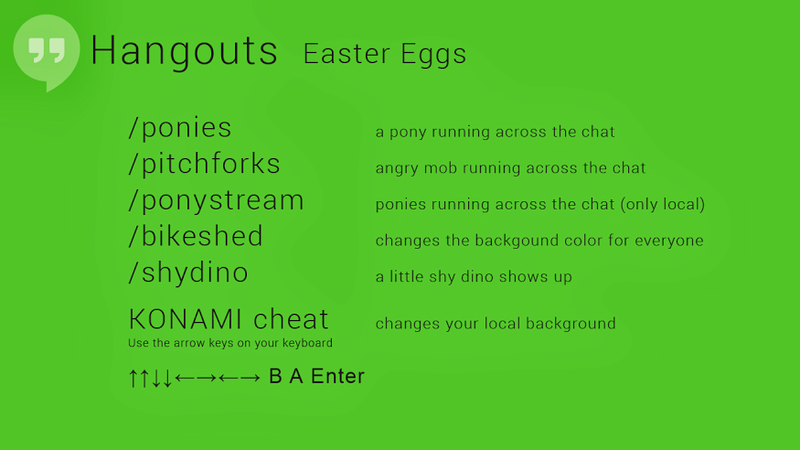 The whackiness of the Easter Eggs’ ranges from colorful ponies to KONAMI cheat codes, all of which are listed above thanks to Googler Moritz Tolxdorff. To tell you the truth, I thought there might be even more, but this is the entire list. 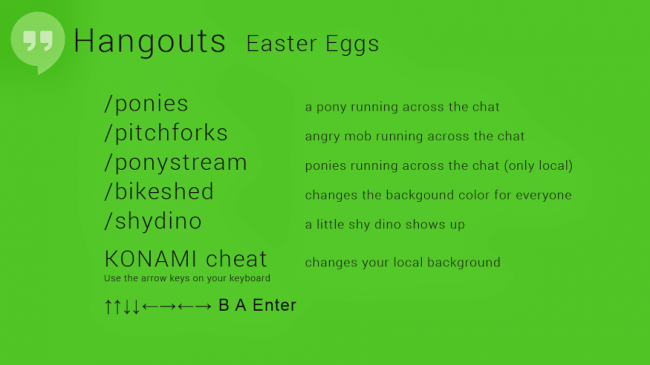 To flood your box with ponies, pitchforks, or a shy dino, type the commands listed into the text box of a Hangout.